A few weeks ago we managed to get a great deal on a last minute trip to Budapest. Our trip coincided with two other events: 1) a large number of refugees camping outside the main station unable to cross any further into Europe and 2) a sun so hot you could cook a steak on the pavement. The former had little effect on our holiday other than to encourage us to feel terrible, gather supplies and donate what we could on our return. The latter meant that I spent most of the holiday stopping at every other bar for a pint of water rather than beer. 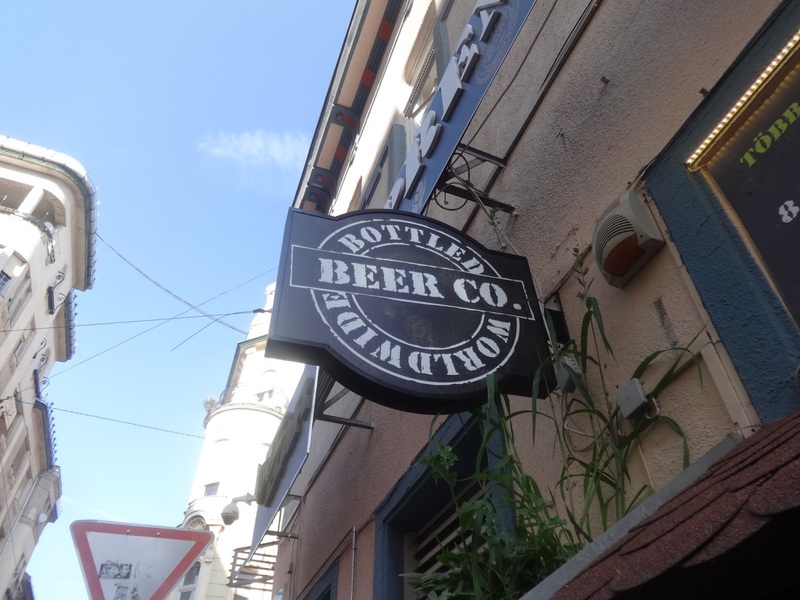 Still, we managed to find a few gems and started to explore an exciting craft beer scene just beginning to emerge. 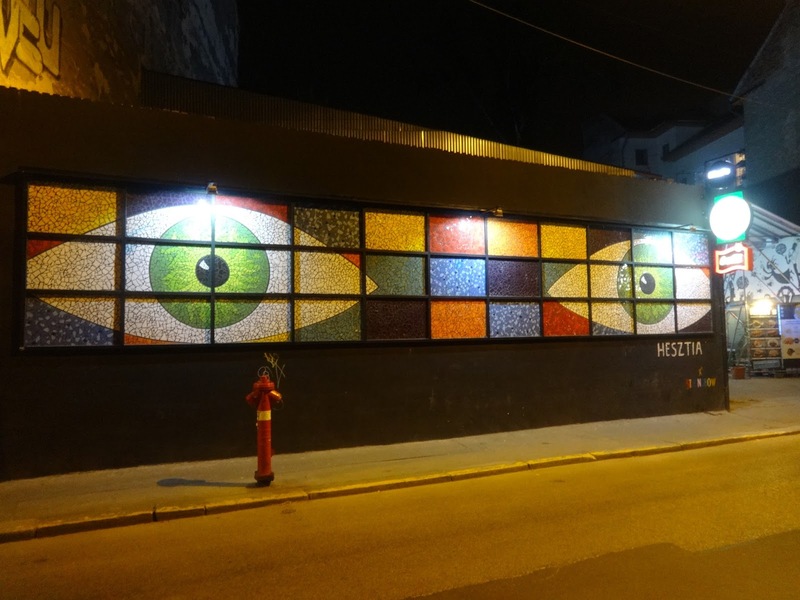 On our first night we stumbled across Racskert, drawn in by the bright lights and promise of Jewish street food, courtesy of Ricsi’s. Racskert is an example of the ‘ruin pub’ that has taken Budapest by storm; pubs, bars and clubs located in old buildings or ‘ruins’. The atmosphere at Racskert was relaxed, the clientele diverse and the food excellent (I’d recommend the lamb pie, followed by everything else). Unsurprisingly, you’ll find a lot of German and Czech beers in Hungary; Pilsner Urquell is particularly prominent, as is Hofbrau. I also drank a lot of Edelweiss, a light and refreshing wheat beer. 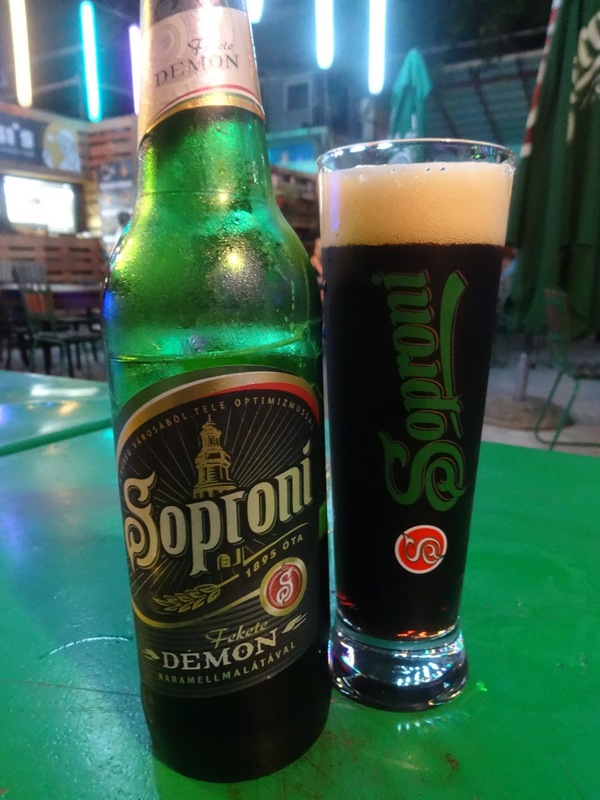 However, stand out on the first night was Soproni Demon (5.2%), a dark and stormy number with plenty of caramel and toffee sweetness to see you through. Not to everyone’s tastes I shouldn’t imagine, but I rather liked it and found it beautifully rich for its relatively low ABV. We returned to Racskert again before we left, enjoying its cool, quiet ambiance. 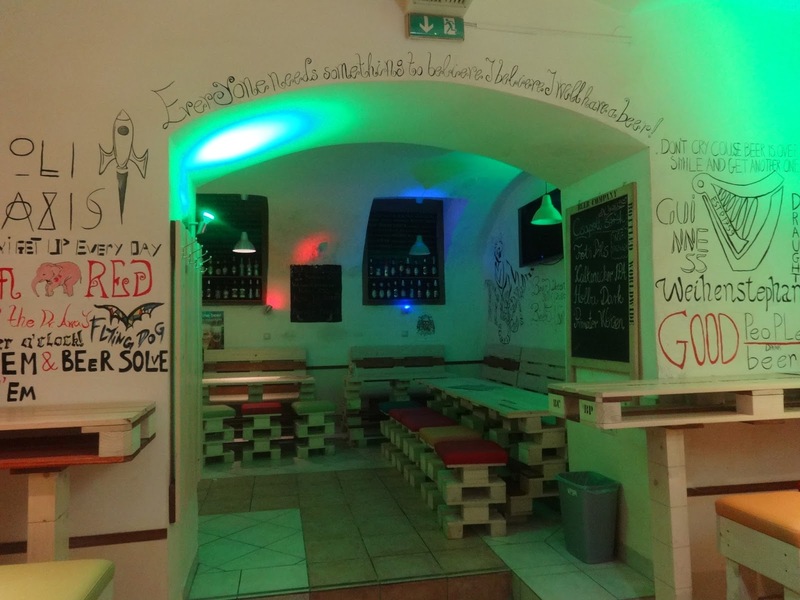 The Léhűtő Craft Beer Bar came up many times when searching for good beery places to visit in Budapest. It’s certainly popular; the tables outside were all occupied on arrival so we sat inside where the atmosphere was not quite so lively. 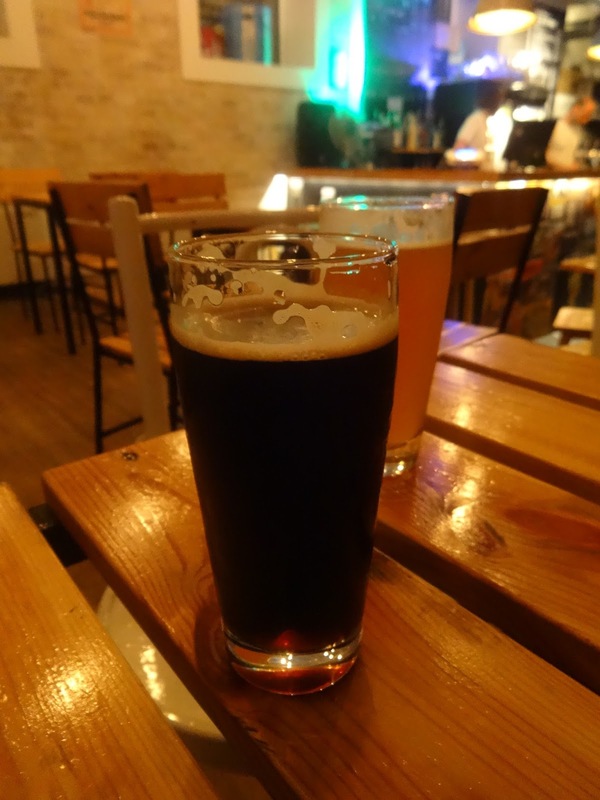 We went for a Papap O’Hara by Hara’Punk (6.5%), an American style porter and Stari’s Grapefruit Buza (3.3%); 2 beers that couldn’t have been more different! The fruit beer was possibly the sweetest beer I have ever tasted, eye wateringly so, despite the promise of bitter grapefruit. Still, what an impressive flavour hit for the low ABV. On the other hand I felt the porter could have packed more of a punch, but was pleasantly smooth and smoky nonetheless. 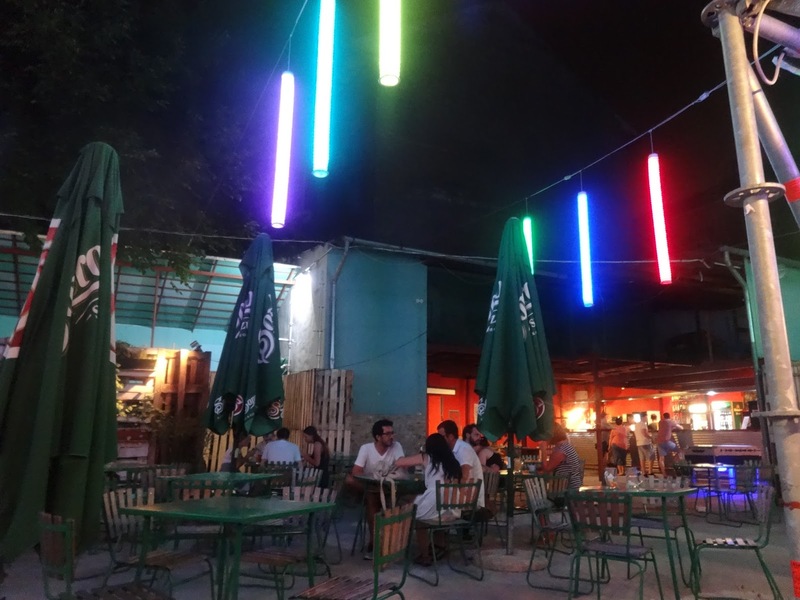 Due to the heat, we left after just the one drink to find an outside spot in which to relax and sip, but had it been a little cooler we certainly would have stayed longer; if not for their fantastic selection then to talk more to their barmen who emanated enthusiasm and passion. 1066th Zichy Jeno utca 31. We stumbled across The Beer Company while exploring. Despite being in the “party district” it’s really rather unassuming. When you get inside it’s also very green (as you can see from the photos below). The decor is….graffiti chic. It feels unfinished, but then maybe it is or maybe that’s how it’s supposed to be? Sorry guys I turned 30 and started thinking dado rails were cool. 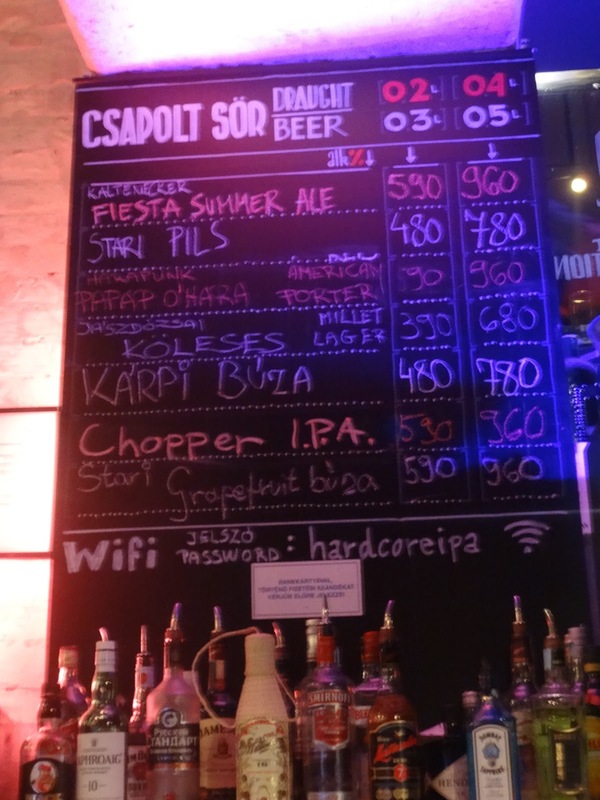 The beer list is big and features beers from all over the world (Hungarians love a bit of BrewDog, yo). 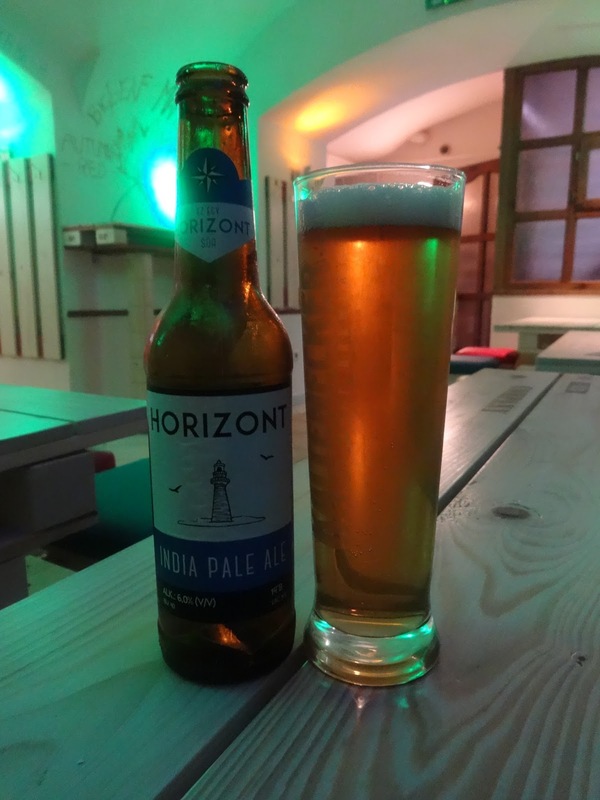 However, we continued with our quest and tried 2 more local beers; Horizont IPA (6%) and Brokat Dark Lager 13° (5%). The photos aren’t great as it was SO GREEN, but you get the idea. The IPA was pleasant and drinkable although, once again, didn’t quite have the flavour it promised; malty and sweet, but could have done with a little more bitterness. 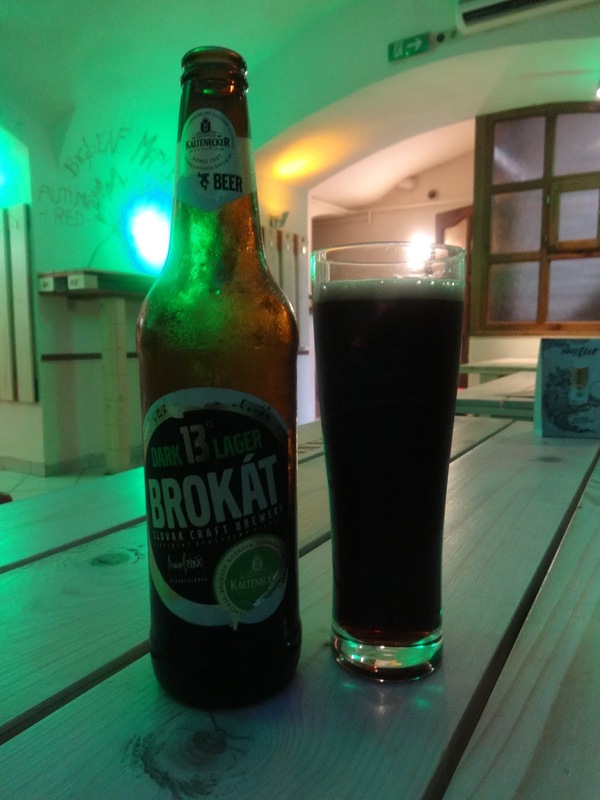 The Brokat was also a pleasant drinker, smooth with hints of coffee and caramel, but with so many fantastic dark lagers about I probably wouldn’t reach for this again. Kulonc, loosely translating as ‘weirdo’ was probably my favourite discovery. I say ‘discovery’, but it’s not as though they’re tucked away in a back alley. In fact, they have a prime spot right next to St Stephen’s Basilica so you can sip a Hungarian craft beer and admire the architecture at the same time. They stock exclusively Hungarian beer, which is brave considering their tourist filled location, but their small selection is expertly chosen and the staff obviously take great pleasure in promoting their specialist range. All I had to do was mention a style and beers were instantly recommended. I ended up with the below, BUPA Pale Ale (4.5%) and Tavoli Galaxis IPA (6%). 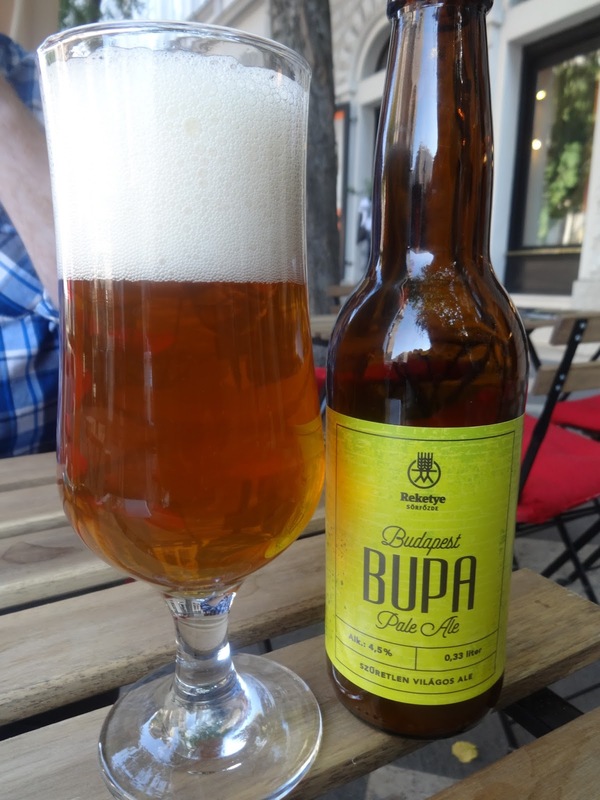 The BUPA was described as an American style Pale Ale, but to me the hoppiness just wasn’t there. I expect a slap in the face from this style and instead it gave me a little shoulder squeeze. In fact, if I had blind tasted this I’d have it down as a lager. Not unpleasant, just not what I was expecting. 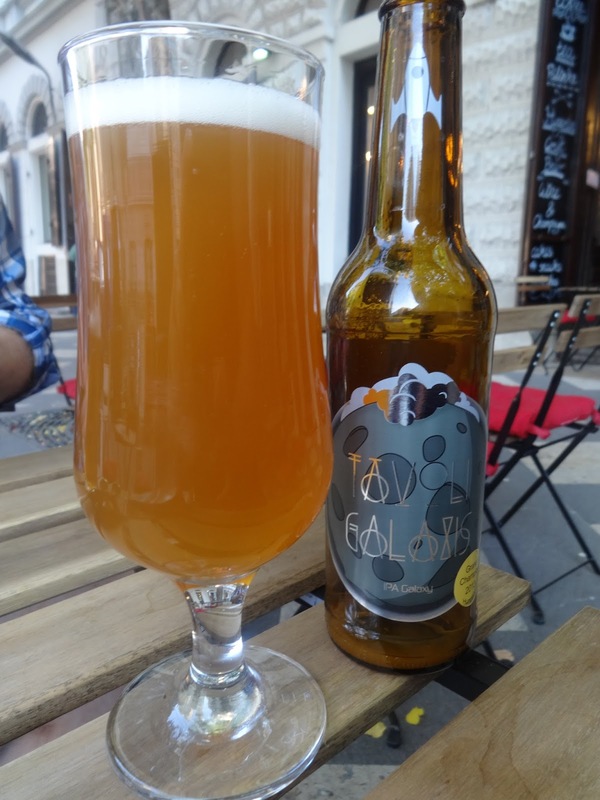 Tavoli Galaxis on the other hand: what a beautiful beer (and a beautiful label, come to mention it). Hazy orange with a strong citrus and peppery aroma, it came at me with an initial bitter kick before being swept away by the bitter sweetness of marmalade. Hoptastic. So good, in fact, that I returned for more later in the holiday. 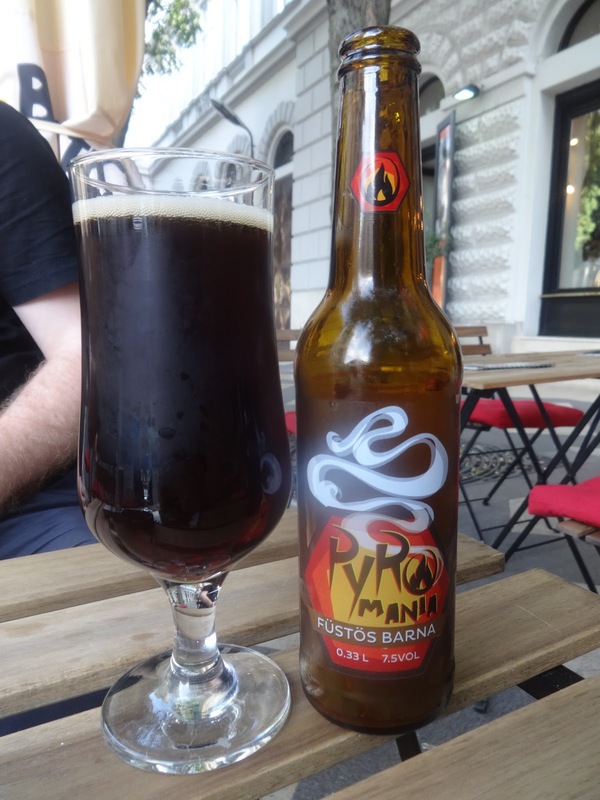 The next two recommendations came in the form of Bigfoot 2222 (6.5%) and Pyromania (7.5%), an IPA and smoked porter. This IPA was a little darker than the first, but had a strong grapefruit taste and big old smack of bitterness at the end. To be honest, I was never going to love it as much as the Tavoli so maybe my first impressions weren’t entirely fair. The Pyromania did exactly as it said on the bottle, but was a little too smoky for me. Again, I’m not sure if this is fair because, frankly, I’m not a big fan of a smoked porter (I put this down to one particular beer consumed in The Euston Tap which nearly melted my face off). Either way, Kulonc have an excellent range and if you’re looking for some proper Hungarian craft beer you’ll definitely find it there. With microbreweries, ruin pubs and craft bars tucked around every corner, it really is an exciting time for craft beer in Budapest. And with new places opening up all the time it’ll be great to come back in a few years and see just how much the scene has developed and changed. *I feel that, given the circumstances, I should say that beer is great, but it’s a privilege and, in the grand scheme of things, not very important. If you would like to donate to the UN Refugee Agency you can do so here. Brilliant post Charlie! Really enjoyed it… Now when next year can I go to Budapest hmmm?? ?